In March 2019, our Medical Director, Mary Pellicer MD, and our Co-Director of Research, Kirsten Lykkegaard PhD, attended the World Brain Injury Congress to present our findings on the ISPS TBI protocol. The presentation outlined the results of 9 clients, all of whom had improvement in all of their TBI symptoms, and most of the clients had most of their TBI symptoms completely resolve. We are interested in collaborating with other like-minded health professionals or researchers who wish to contribute towards accelerating the recovery for TBI patients. 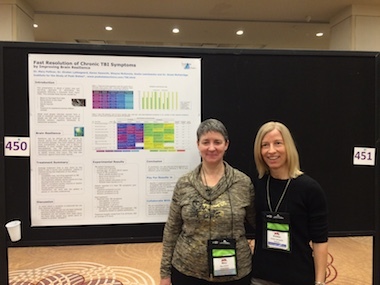 The poster presented at the conference in Toronto can be found here. 1.0 March 25, 2019: First conference presentation.